iTunes is definitely a very useful tool given by Apple but it has issues of getting freeze and stuck at times. iTunes quits unexpectedly which is a risky thing since you might lose all your data. There are various reasons behind this error including the corrupted audio or video files and attack of any Trojan on the software. iTunes quitting is a very serious issue if you have important data in your iPhone. You can solve this issue using a few precautions as listed below. iTunes quit unexpectedly? iTunes won’t open or stopped working? Unable to install iTunes or failed to install iTunes updates? iTunes constantly freezes or even gets crashed on your computer? 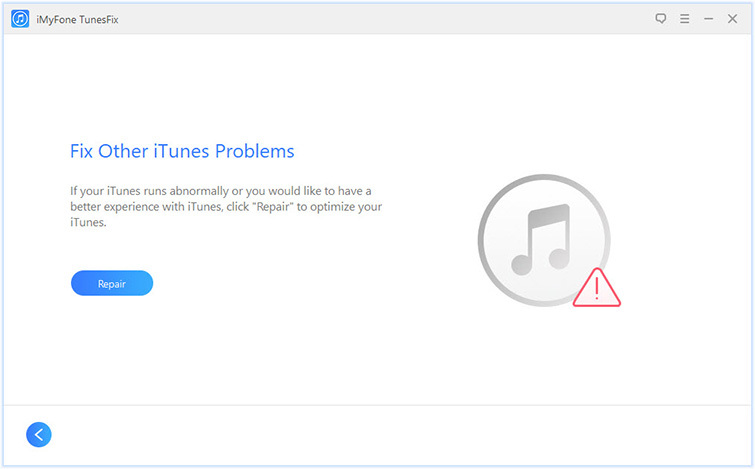 Getting iTunes error when upgrading or restoring your iPhone, iPad, iPod? Now, iMyFone TunesFix is here to solve these problems completely. Step 1. Download and launch iMyFone TunesFix on your computer. Step 2. Click “Fix Other iTunes Problems”. Step 3. Then click on Repair button. Step 4. 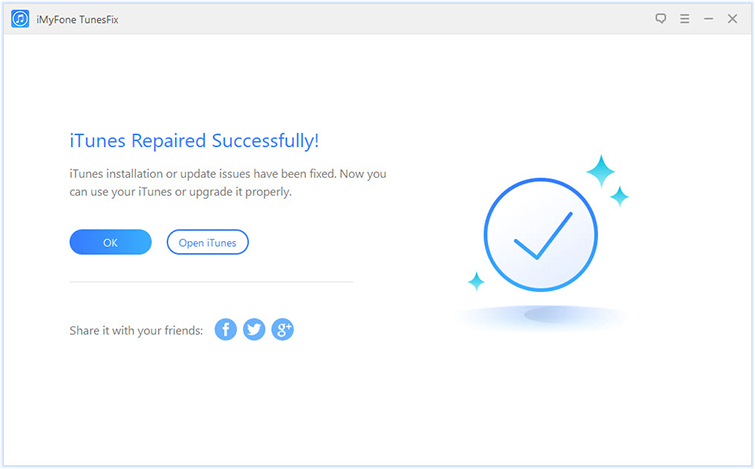 When the repair process finished, click Open iTunes button to launch your iTunes and try it. One-click to fix iTunes quits unexpectedly issue, install/connect/restore/backup and other issues. Allows you to repair any iTunes issue without data loss. Auto-Detect iTunes issues, which is easy to use for everyone. Allows you to optimize iTunes and make it less annoying within only one click. Clear iTunes cache, junk, logs, iOS update files etc., in one place. If the iTunes keeps crashing regularly, it might be due to the fact that an upgrade is required. Upgrading to the latest version will help in dealing with the crashing of the iTunes. 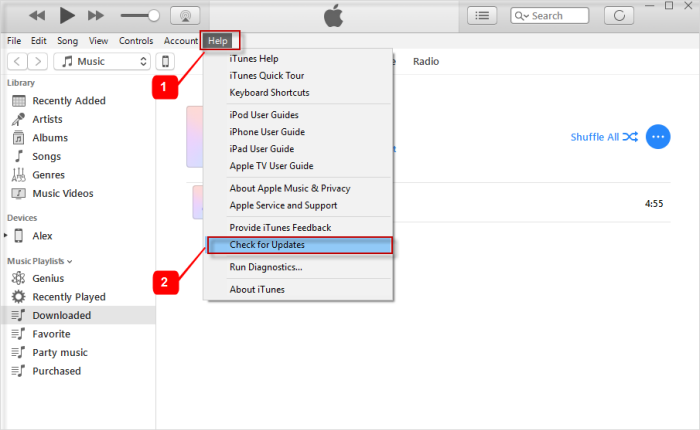 Here are the steps involved to update iTunes to the latest version. Step 1: Double click on iTunes icon to open it. Step 2: Press “Help” located in the menu bar at the screen top. Step 3: Tap “Check for updates”. If there is an available update, you should download and install it. Step 4: Click “install” and reviews Apple’s terms and conditions. Step 5: Press “Agree” and follow the instructions on the screen to complete the installation process. Step 1: Press Ctrl + Alt + Delete at the same time, then choose Task Manager. 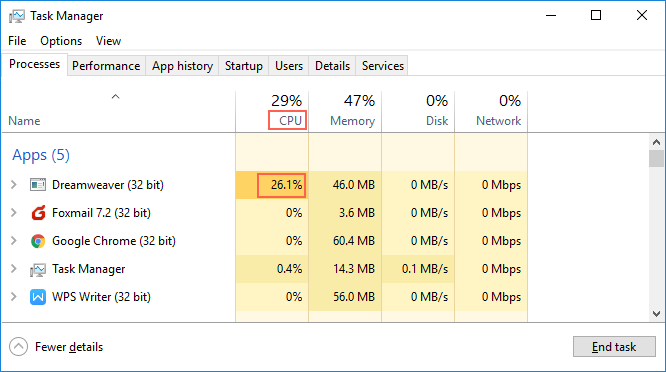 Step 2: Here, you will find which app consume RAM most. Step 3: Right-click the app and click on End task to shut it down. Place iTunes in the safe mode which makes sure that all the plug-ins are disconnected allowing the iTunes to run error free. The easy way to do that is to hold the shift key and the control key on the keyboard simultaneously. This will lead the iTunes in safe mode. All your third-party plug-ins including the visual plugin would be disabled. There might be a problem with the device that you are connecting with your Mac or windows. Make sure that your device is working properly. Put it in recovery mode by holding the home button and connect it to the computer. If the issue is not resolved and iTunes still crashes, safely remove your device and connect it again to see if it works. Run a scanning of your system to ensure that there are no viruses in your system to crash the iTunes. iTunes might quit if the installation is not properly done. Uninstall and then reinstall it. The iTunes 10 has reportedly been crashing in windows and iTunes keeps quitting unexpectly in Mac as well. The easier way to avoid this it to update to the latest version.